In a world increasingly controlled by a select few – unduly wealthy oligarchs at the top one percent – it has become more and more pertinent and necessary for the common men and women trampled underfoot to resist and “disobey.” Show your disaffection for corporate/government greed and corruption, and modern society in general with this stylish black twill cap from Double Down, featuring the iconic Guy Fawkes mask front-and-center. Used in the classic graphic novel-turned-motion picture “V for Vendetta” and adopted by contemporary resistance groups like “Anonymous,” the Guy Fawkes mask – with its unsettling, jester-like grin – has come to symbolize our modern-day struggle against shady government profiteering and capitalism run-amok. 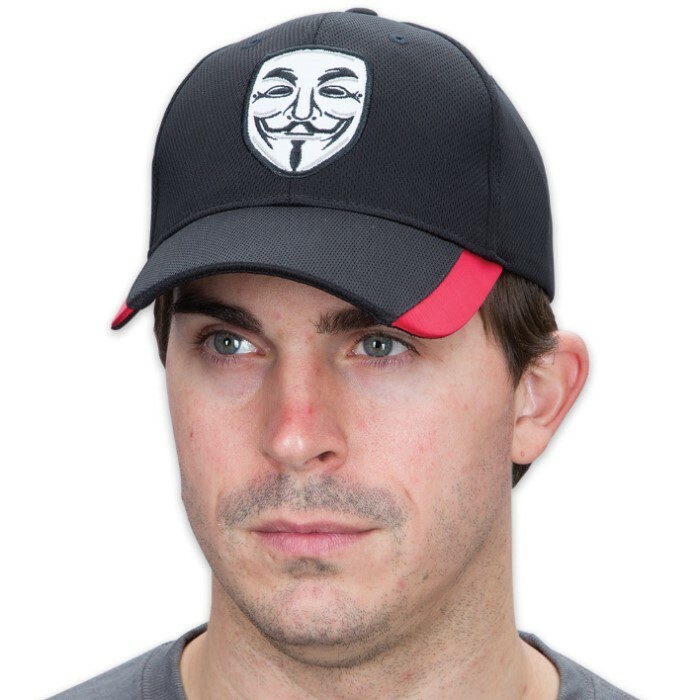 The disturbing mask is embroidered front-and-center on this cool, breathable lightweight cotton twill cap, and the black adjustable Velcro back strap reads, simply, “Disobey” in red embroidery. The black brim is smartly trimmed in red twill for a sleek contrasted look. 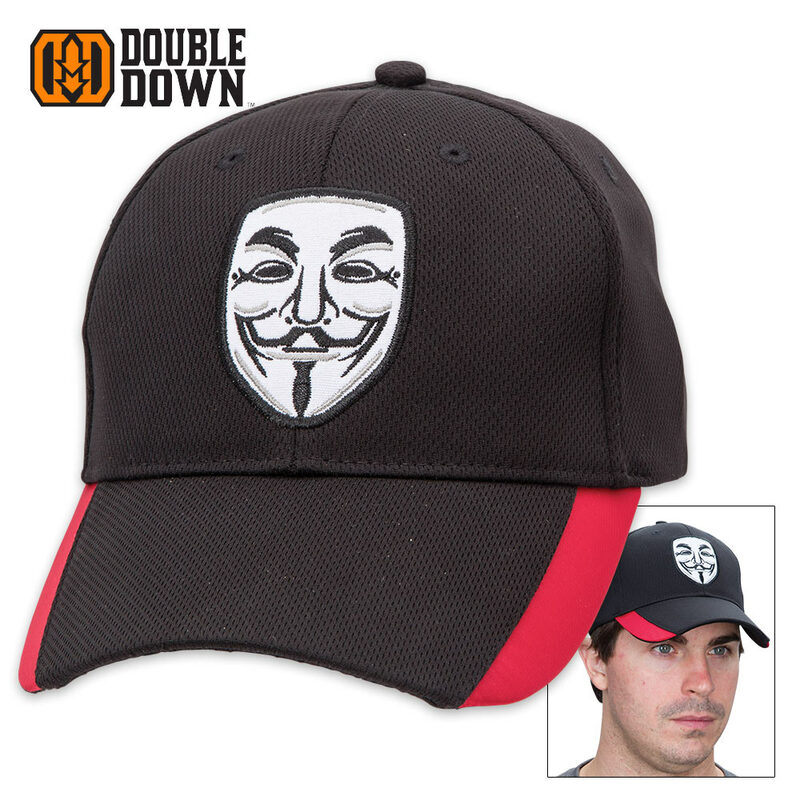 Wear this cap to your next protest or demonstration – its tough construction can take tear gas, water cannons, mace and anything else riot police can throw at you. 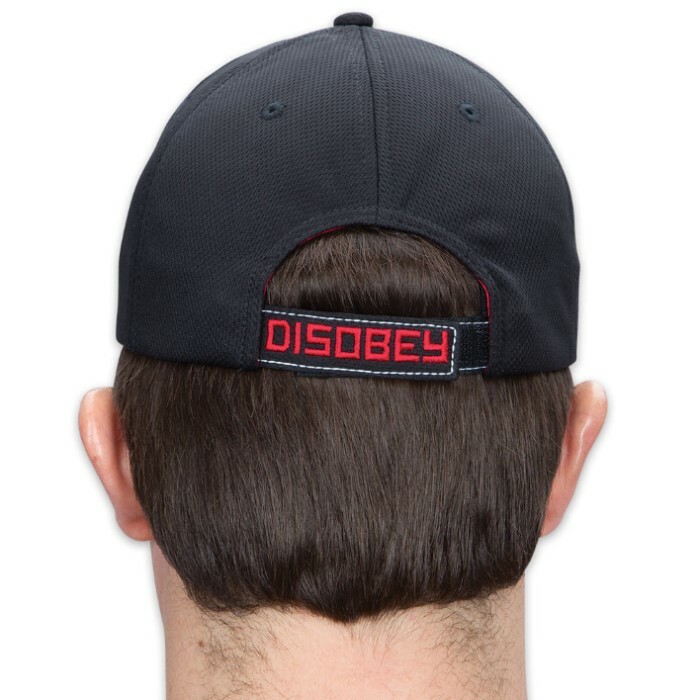 Remind everyone you see to fight the power and "Disobey" with this bleak-chic cap, designed in the USA by Double Down. One size fits most.